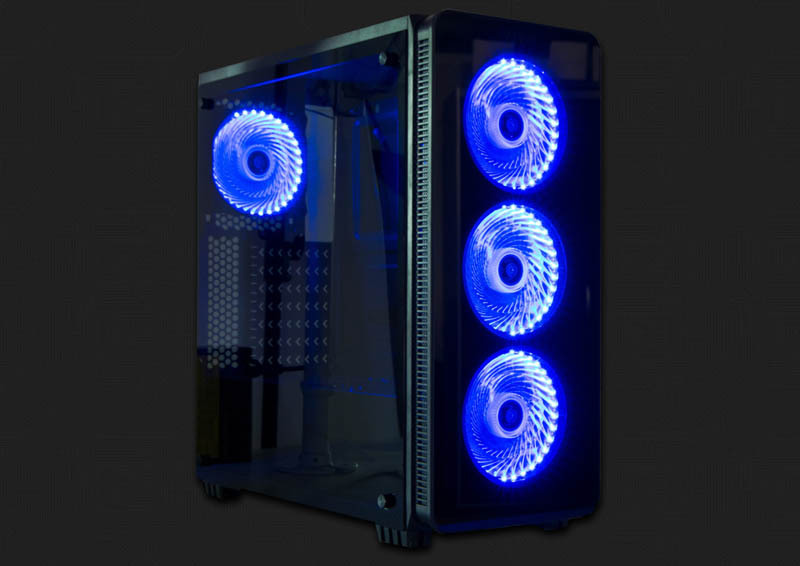 If you are in the market for a mid-tower ATX chassis with a tempered glass side panel and a gaggle of LED fans, the Vivo CASE-V08 might be just what you are looking for. This chassis supports up to EATX motherboards (12" x 10.7"), graphics cards as long as 395mm, PSUs up to 200mm, and CPU heatsinks as tall as 161mm. The seven expansion slots should make it easy to mount multi-GPU configurations in this chassis. Up to three 3.5” and five 2.5” hard drives (two dedicated, three convertible from 3.5” drive trays) can be mounted in the CASE-V08.